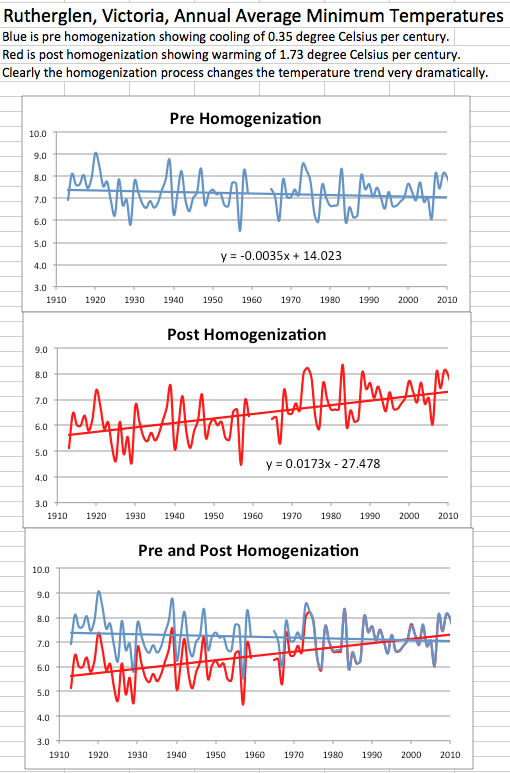 Weather Agencies around the world have all been "homogenising" data. 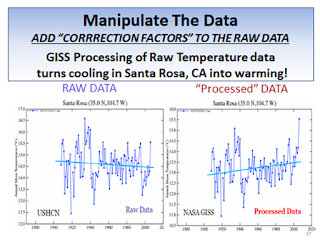 NORTH America’s premier weather agencies have been questioned over “homogenisation” changes to international temperature records used to declare last year the hottest on record.Neither NASA nor the National Oceanic and Atmospheric ­Association have responded to international reports questioning why temperature records at three rural stations in Paraguay had been changed dramatically. 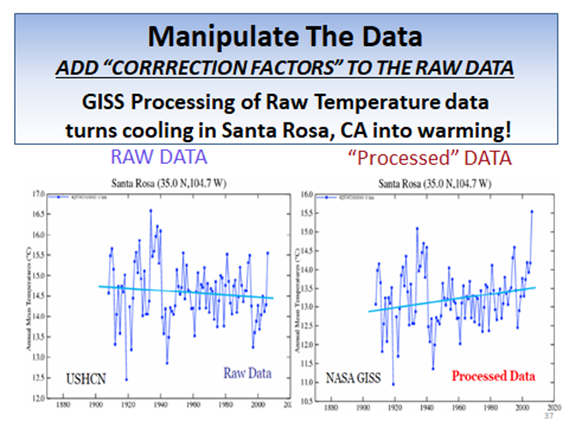 Independent climate researcher and blogger Paul Homewood said he had compared NASA data with the raw temperature data for the stations and found a cooling over a 65-year ­period had been turned into a warming trend. The story was picked up internationally, including a long article in Britain’s Sunday Telegraph, and builds on a long-running controversy over the treatment of historic temperature records. 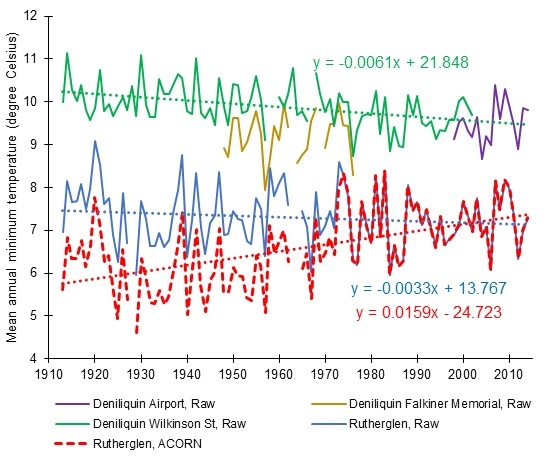 In Australia, the Bureau of Meteorology has been challenged over its homogenisation methods that have changed cooling trends to warming trends at some stations. BoM has maintained there are legitimate reasons to alter physical temperature records, including changes in recording equipment, and inconsistencies with temperatures at nearby areas. 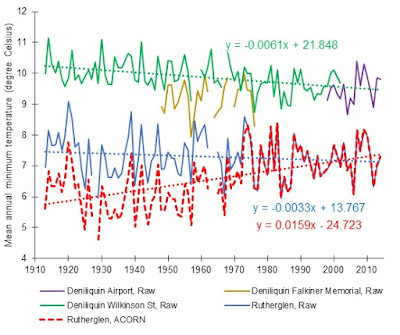 An independent panel has been established to review BoM’s treatment of historical temperature data, as recommended by a peer review of the bureau’s national temperature data ACORN-SAT. Mr Homewood was encouraged to examine NASA’s Goddard Institute for Space Studies records after the agency declared 2014 the hottest on record. NASA later admitted that given the small difference between recent temperature highs and the margin of error in recording, it was only 38 per cent certain 2014 was the warmest. 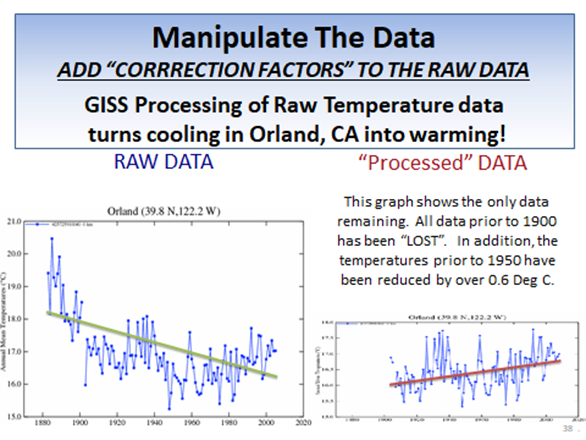 After checking raw data, Mr Homewood said past temperatures had been adjusted down by almost 2C and a declining temperature trend over 65 years in the raw data had been transformed into a sharply warming trend. 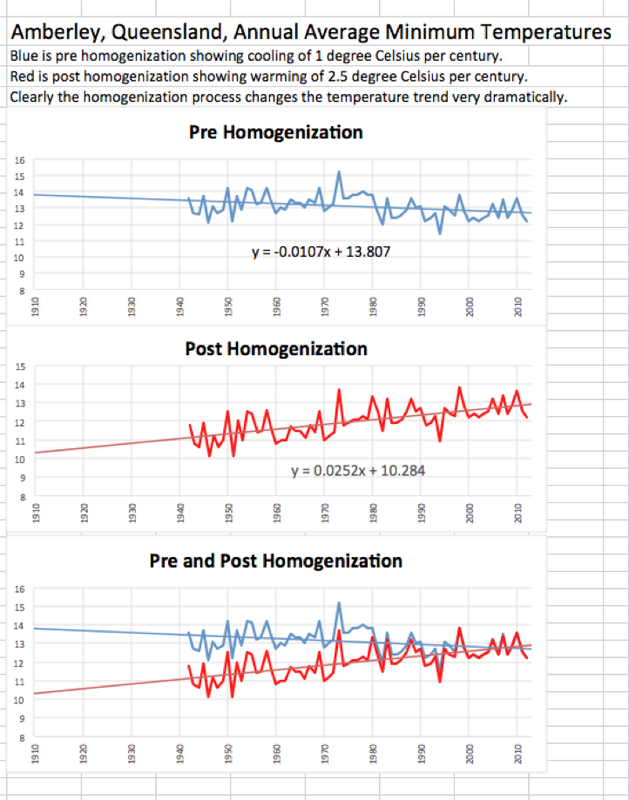 This page displays graphs from some of the "homogenised" data. 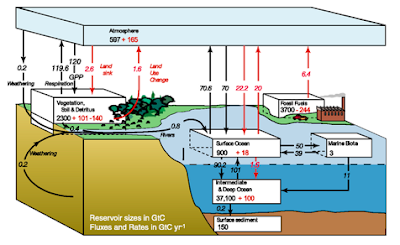 In the year 2000, NASA showed a total of 0.4C warming over land. 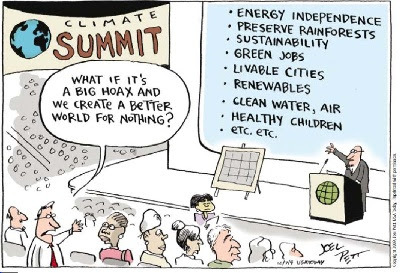 In 2012, they showed 1.0ºC warming. 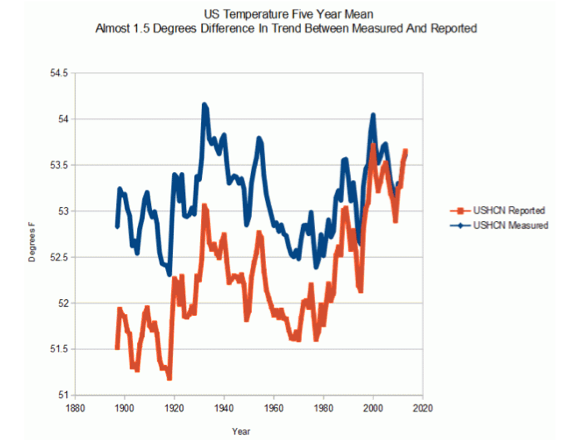 Now they show 1.3ºC warming. They have tripled global warming over the past 16 years. All of this data was taken directly off the NASA web site. ALMOST half of the 20th-century warming for Australia’s nation­al average surface temperatures could be due to changes in the weather stations chosen for analysis, rather than changes in the climate, according to a submission to an independent review of the Bureau of Meteorology’s national records. Merrick Thomson, a retired certified practising accountant, has asked the independent panel to investigate how and why stations were selected for inclusion to make up the national trend. The panel of experts, headed by Ron Sandland from the CSIRO, will begin its review of BoM’s national temperature data next week, amid growing controv­ersy about the homogenisation of climate records worldwide. In his submission to the review panel, Mr Thompson said when the BoM transitioned to the new ACORN-SAT system it had remove­d 57 stations from its calculations, replacing them with 36 on-average hotter stations. 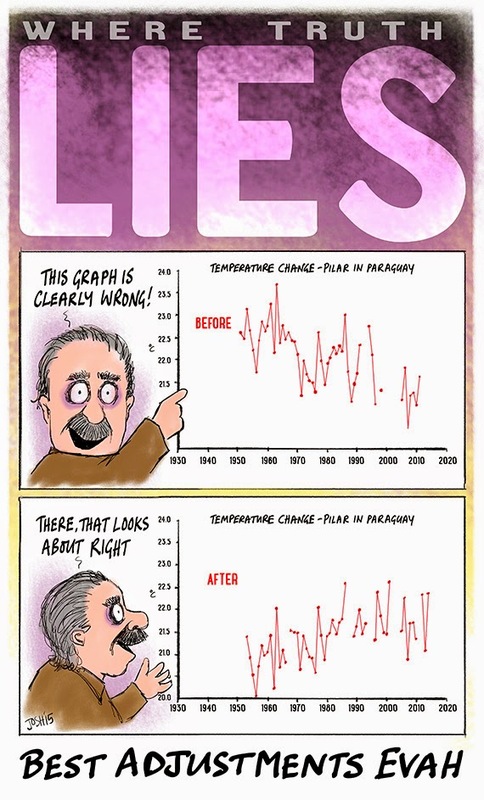 “I calculate this has had the effect­ of increasing the recorded Australian average temperature by 0.42 degrees Celsius, independently of any actual real change in temperature,” Mr Thomson said. 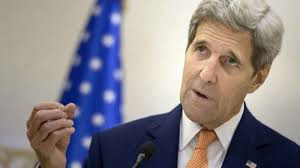 “Of the 57 stations removed from the calculation of the nationa­l average temperature, only three of these have actually closed as weather stations,” he added. Mr Thomson asked that the review panel investigate why the mix of stations changed with the transition to ACORN-SAT, and why this was not explained and declared, particularly given that it has resulted in a large increase in the 2013 annual temperature for Australia. March 9th, 2015 by Roy W. Spencer, Ph. 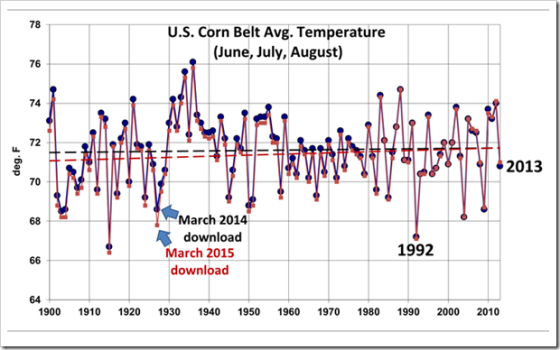 D.
I was updating a U.S. Corn Belt summer temperature and precipitation dataset from the NCDC website, and all of a sudden the no-warming-trend-since-1900 turned into a significant warming trend. Last month (June2015), NOAA caused a lot of controversy by adjusting historic global temperature data to show that the pause had never happened. This has been well covered by WUWT and others, but what is less well known is that NOAA have been making similar but subtle adjustments year by year for a while now. Changes that have been made to annual data back to 1880. Figure 1 shows, for instance, that the temperature anomaly for 1938 published currently is 0.13C lower than was published in January 2010. 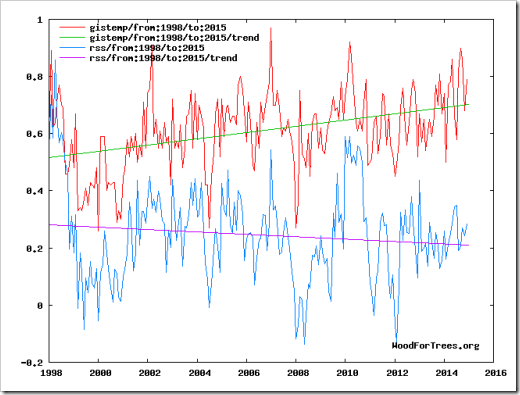 In contrast the anomaly for recent years has been increased, for instance 2009 has increased from 0.56C to 0.64C. 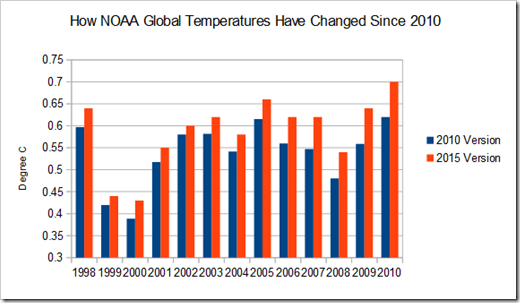 Temperatures have been progressively increased as each year has gone by. 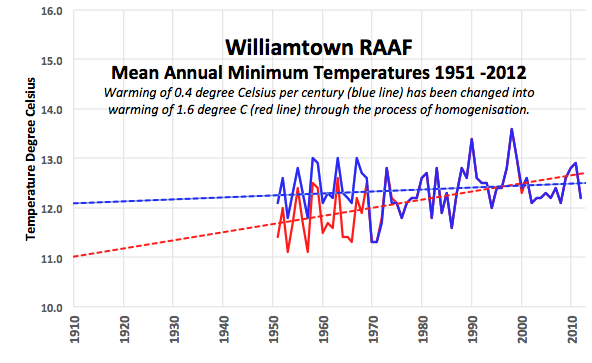 There is no single, long, continuous, raw minimum temperature record from the same site for either Kerang or Wagga. Recordings were made at Wilkinson Street, Deniliquin, from February 1867 to June 2003, providing a record comparable in length to the raw series from Rutherglen. 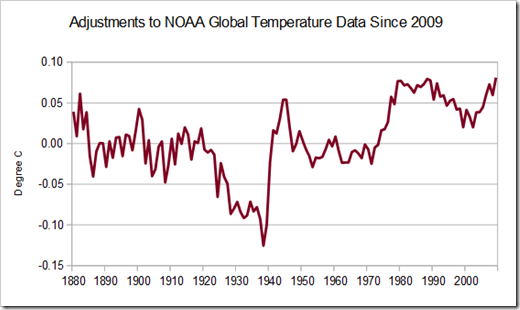 Just look at the long term temperature data. It doesn't support the composite temperature graphs. 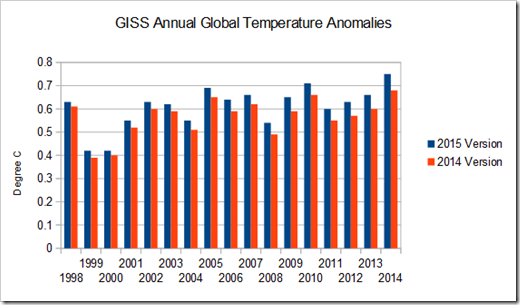 No long term thermometer record shows significant warming...none.